Yamana Gold Inc. announced the declaration of commercial production at Cerro Moro, a high-grade gold and silver mine in Santa Cruz. The first gold and silver doré production at Cerro Moro was announced on May 16, 2018, and the ramp up to commercial production was achieved as planned in the second quarter of 2018. There are several quantitative and qualitative factors relating to a commercial production decision. Mostly, the determination relates to the sustainability of and ultimate profitability of an operation. In the case of Cerro Moro, the factors included the sustainability of mining and throughput rates above certain levels, recoveries consistent with design, and grades at least consistent with mine plan. Mining rates are according to plan, throughput has increased steadily since start-up and has been consistent at rates well above seventy per cent of capacity, recoveries for gold and silver have been consistently above ninety per cent of design, grades are consistent with mine plan, mine development, both for open pit and underground, is in line with plan, and, in addition, the operation has successfully created a high-grade stockpile of over six weeks in the process. Cerro Moro is expected to deliver on 2018 production guidance with modest production in the second quarter of 2018 and nearly all of the expected 2018 production to be delivered in the second half of the year. With the declaration of commercial production, the focus is now on optimizing the operation and ensuring operating costs reach guidance levels. 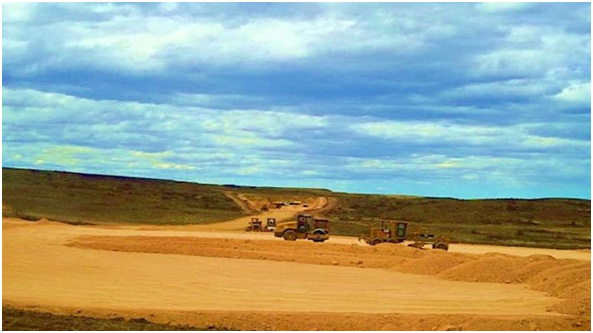 Be the first to comment on "Yamana Gold declares Commercial Production at Cerro Moro"